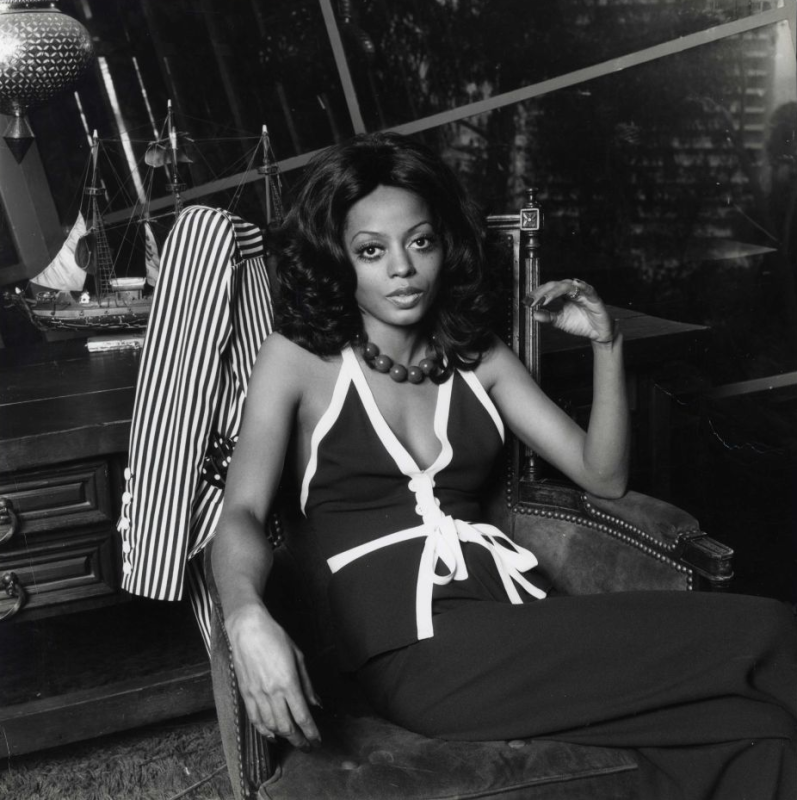 One of the most iconic singers of the rock era is none other than the legendary Diana Ross. Known for her great talent and incredible style, Diana has inspired millions over the past five decades. 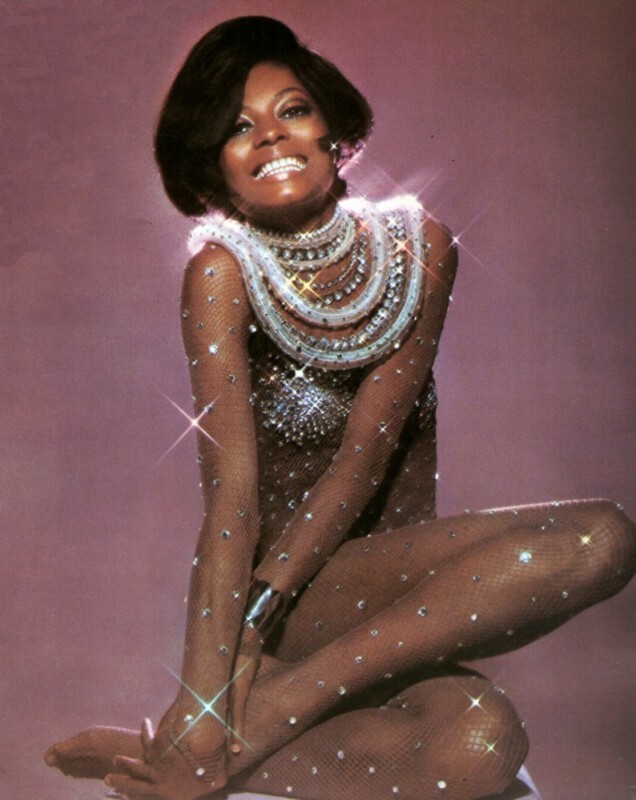 From her days with The Supremes to her successful solo and acting career, the glamorous beauty is the definition of the word diva and has always had unprecedented style, sporting her short side-swept bob, beehive wigs, and sequins in the ’60s to the days of Motown, bell bottoms, and larger than life hair in the years to come. 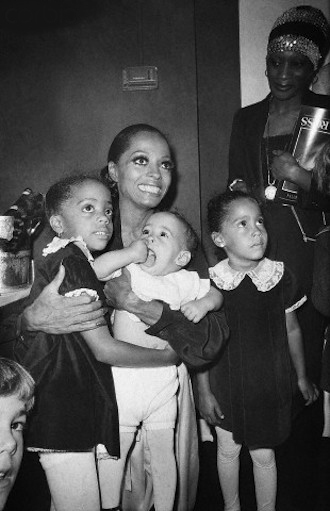 Not only is Diana a music legend, she is also recognized as a loving, devoted mother to her 5 children. 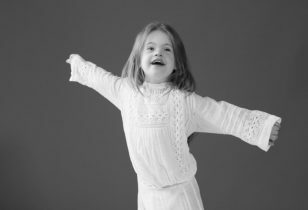 We’ve gathered some of our favorite moments and photos of Diana in our slideshow below. Enjoy! 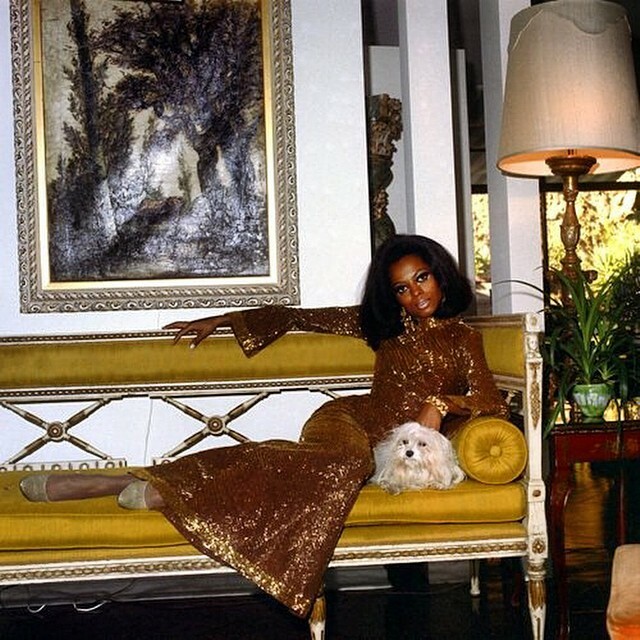 Diana Ernestine Earle Ross is an American singer, record producer, and actress. 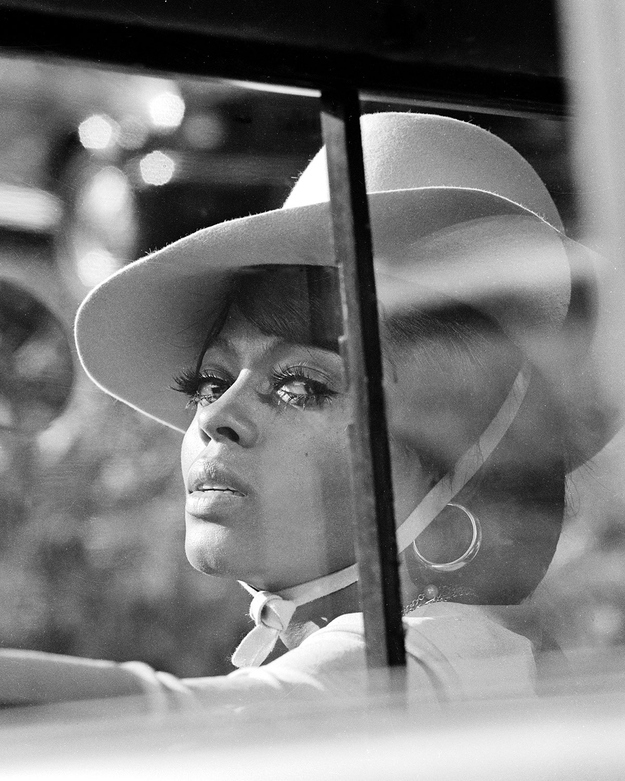 She was born March 26, 1944 in Detroit, Michigan, as the second child to parents Ernestine Earle Ross-Jordan and Fred Ross. 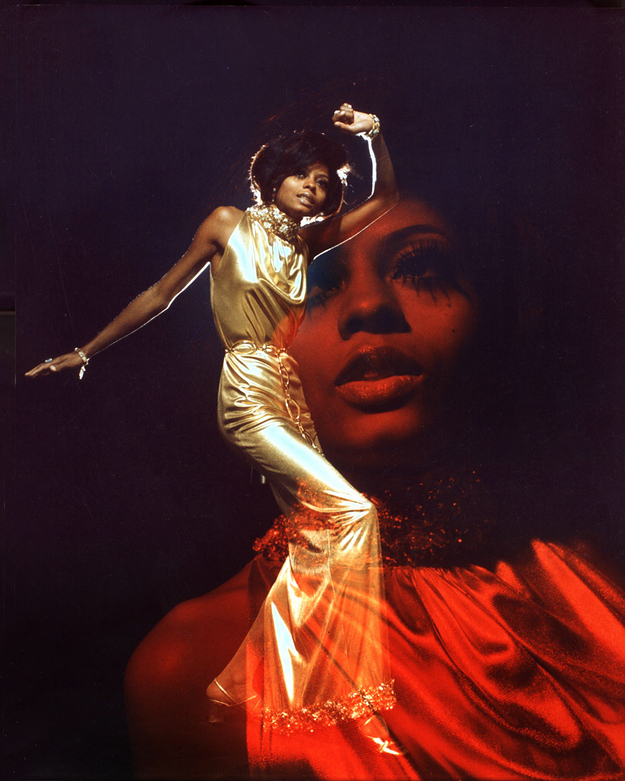 Diana is known as the lead singer and founding member of the vocal group The Supremes, which became Motown's most successful act in the 1960s. The group is still known as America's most successful vocal trio to this day, as well as the world's best-selling girl group of all time. 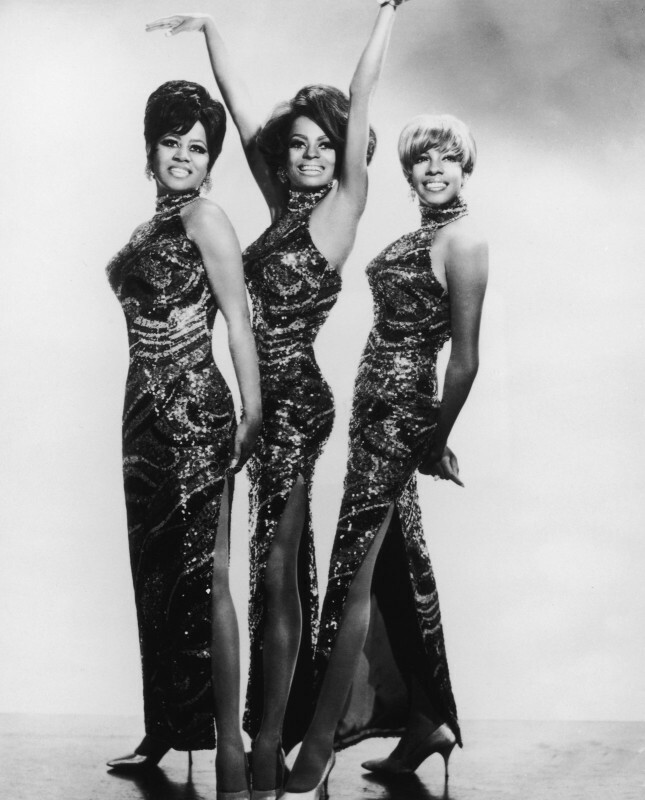 The Supremes set a record-scoring twelve number-one hit singles on the Billboard Hot 100, such as "Where Did Our Love Go," "Baby Love," "Come See About Me," and "Stop! In The Name Of Love." 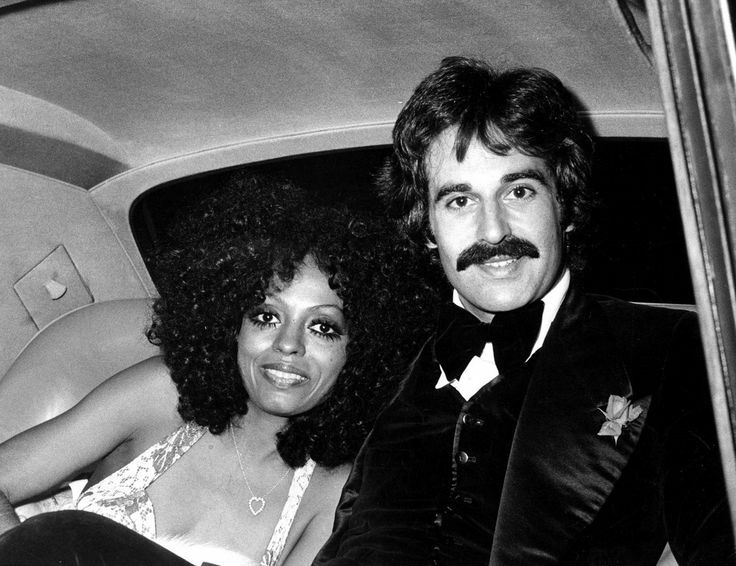 In 1971, she married music business manager Robert Ellis Silberstein. The couple have three children together—Rhonda Suzanne Silberstein, Tracee Joy Silberstein, and Chudney Lane Silberstein. "My children come first and the career comes in around that," said Diana. "You can't just sit there and wait for people to give you that golden dream. You've got to get out there and make it happen for yourself," said Diana. 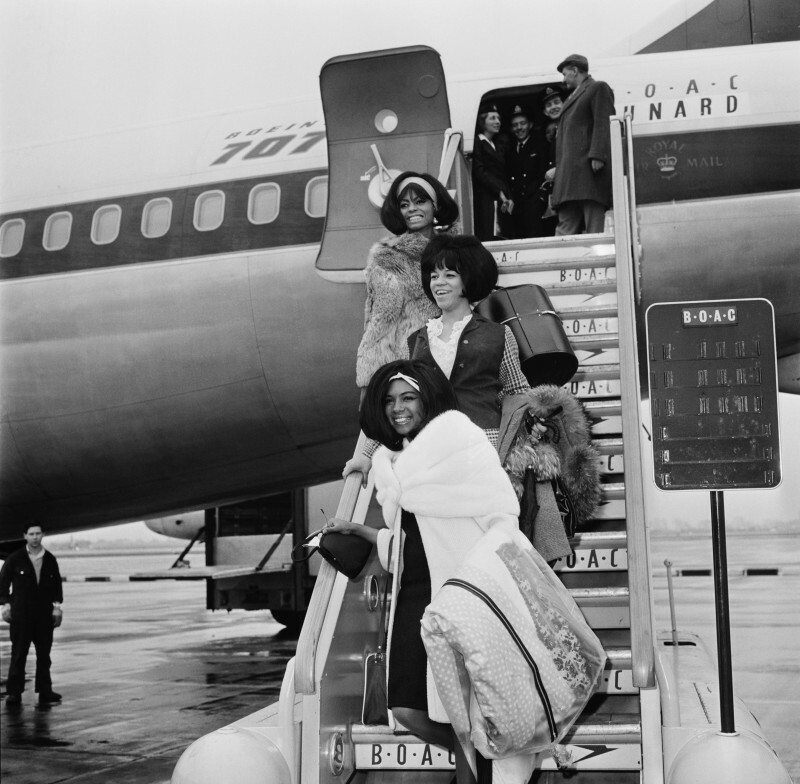 The Supremes arriving at Heathrow Airport in London on March 15th, 1965 after a successful UK Tamla-Motown Revue tour. 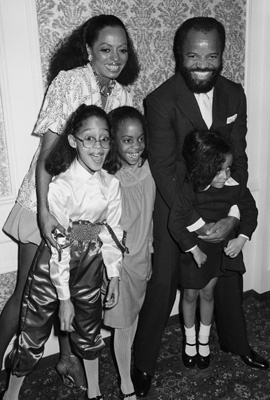 From 1965 to 1970, Diana had a relationship with Motown President and producer Berry Gordy. 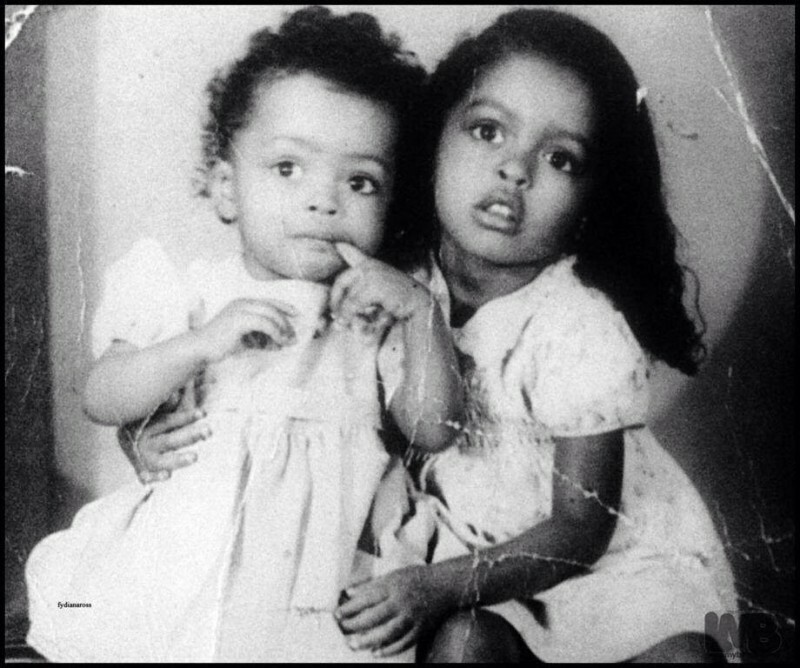 The two have a daughter together named Chudney Ross. 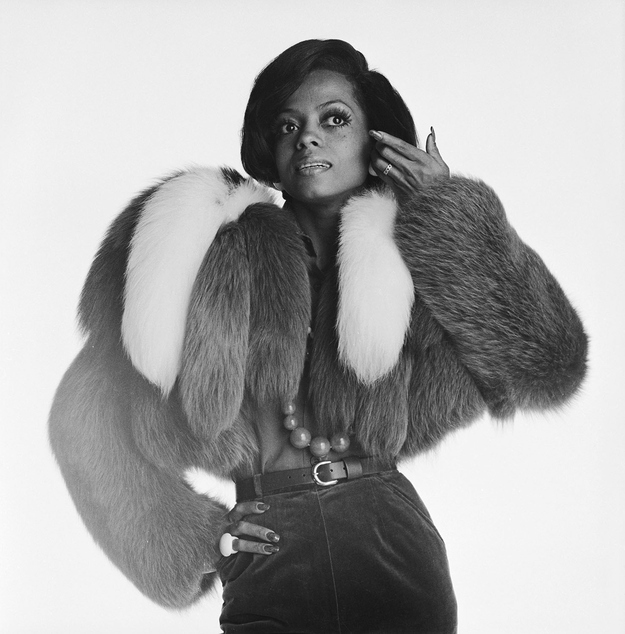 Diana left The Supremes in 1969 to pursue a solo career, and in 1970, she released her debut solo album, "Diana Ross." This album included the #1 hit "Ain't No Mountain High Enough," along with "Reach Out and Touch (Somebody's Hand)." 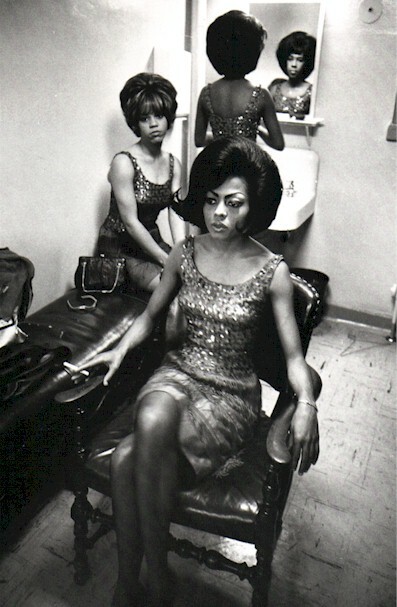 "It takes a long time to get to be a diva. I mean, you gotta work at it,” said Diana. 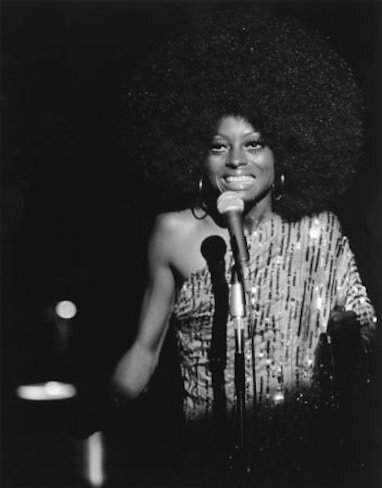 Diana branched out into acting in 1972, with the Billie Holiday biopic Lady Sings the Blues, in which she received an Academy Award nomination for Best Actress. 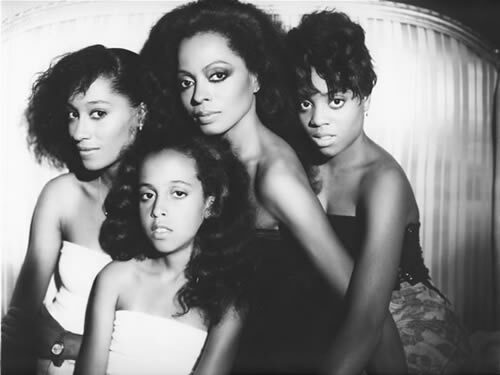 The biopic included a soundtrack album by Diana that went on to be her fourth #1 album release. "I'm a parent, and I try to take care of my health and keep my life in order. In the last few years, I've really had to decide what's important to me, and it seems to me that my family and my health are top on the list. And those have nothing to do with show business," said Diana. 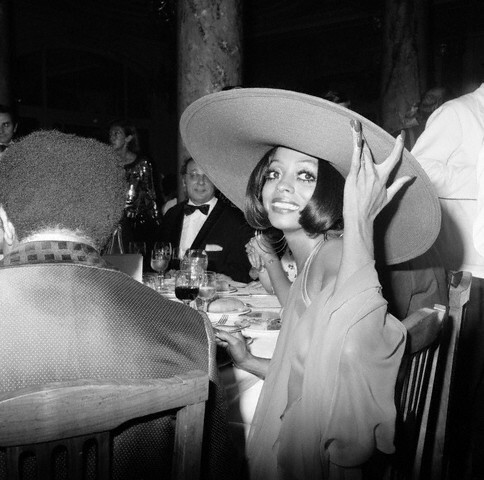 Diana looking elegant at dinner during the 1973 Cannes Film Festival in Cannes, France. 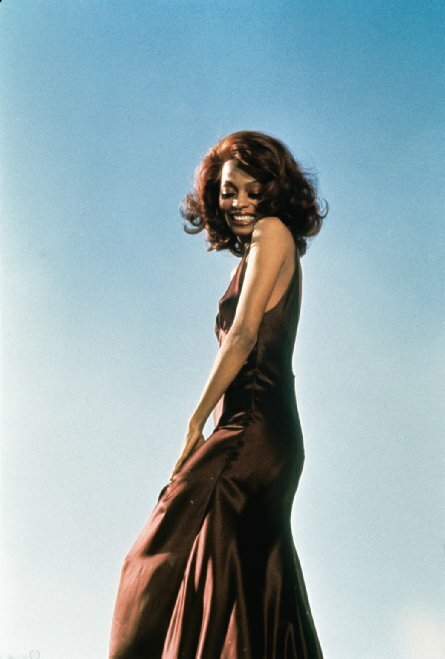 In 1973, she released the album "Touch Me In The Morning", where the title track went immediately to #1 on the charts. 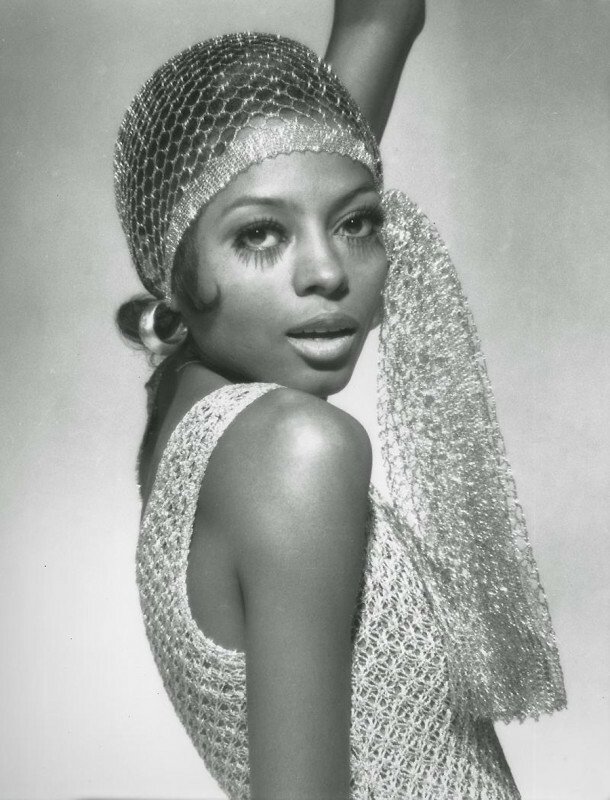 She got her third hit from the Mahogany movie soundtrack, which included her song, "Theme from Mahogany (Do You Know Where You're Going To)." Diana relaxing backstage at a Rolling Stones concert in 1975. 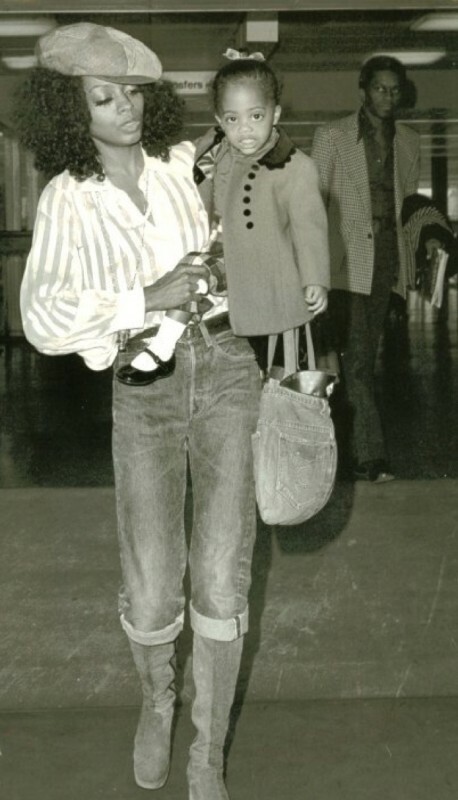 Diana went on to star in several other films, such as 1975’s Mahogany and 1978’s cult classic, The Wiz. 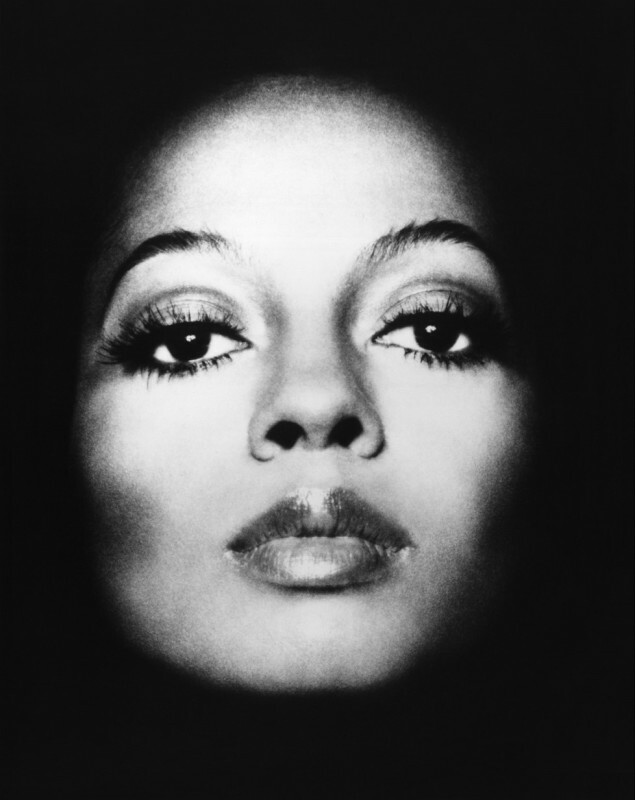 Her 1976 album, "Diana Ross," included her fourth #1 hit, "Love Hangover". 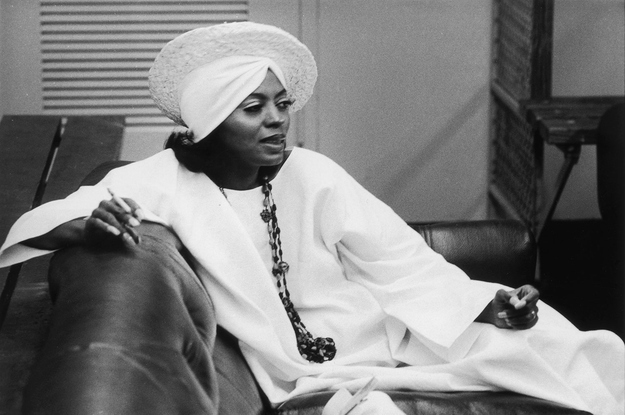 In 1979, Ross released her first gold certified album, "The Boss." 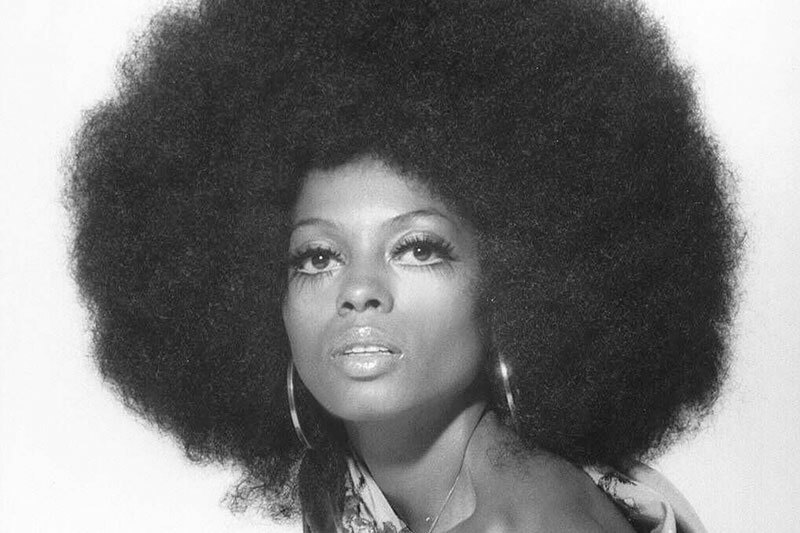 In 1980, she moved to MCA records to release a second album, "Diana" which included hits like "Upside Down" and "I'm Coming Out." Though it was a short relationship, she dated Gene Simmons, the lead singer of the band Kiss, from 1980 to 1983. "I have three girls and I say the same thing to them. I'm not involved in their careers because I've learned that it's important for them to stand on their own two feet. They'll feel better and prouder of themselves if they do,” said Diana. 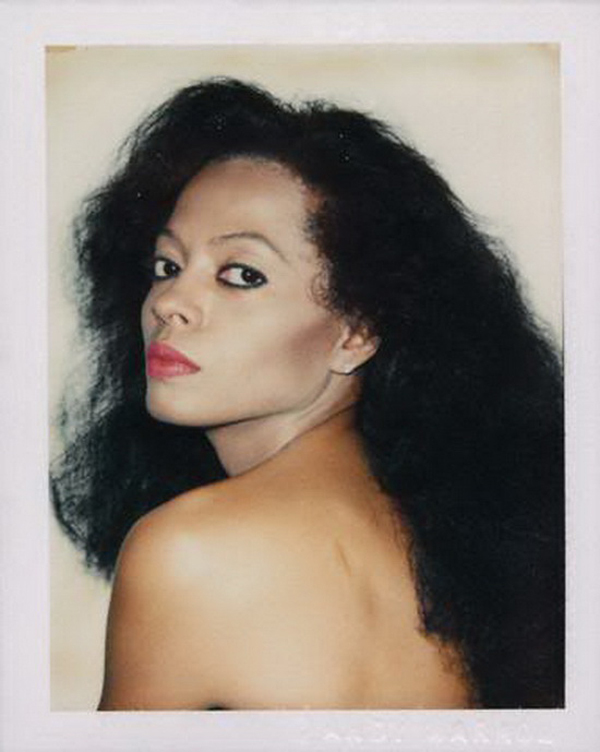 Polaroid print of Diana taken by Andy Warhol in 1981. 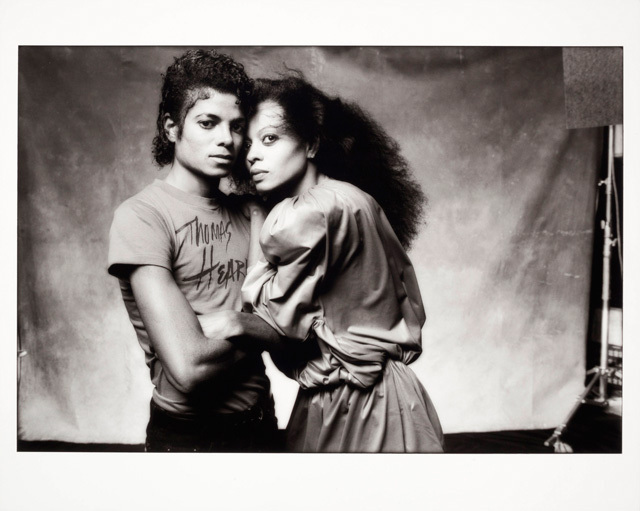 In 1982, she released a smash hit called "Muscles", which was written by Michael Jackson. Diana and Michael had a genuine, unique friendship, and in 2009, the icon named Diana as an alternate guardian for his children. Later in 1986, she married Norwegian Arne Næss Jr, whom she had two sons with. The couple’s relationship ended in 1999. Diana with her two sons, Ross Arne Næss and Evan Olav Næss. "Icon. What is an icon? When someone is iconic it means they have established a certain kind of legacy possibly, and I think it does come with time. It's something in the arts, I feel. Maybe not, maybe it doesn't have to be in the arts exactly. I'm not really sure. But I don't think you are born an icon," said Diana. 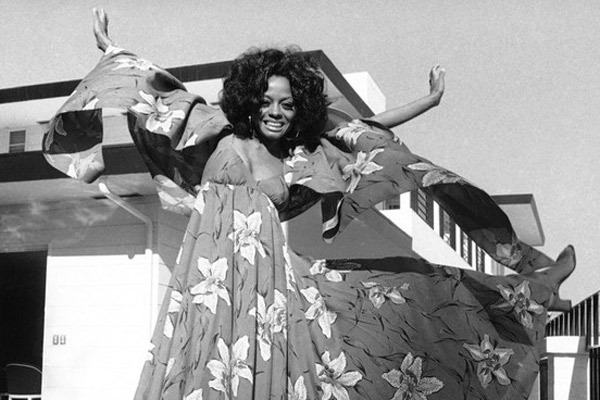 In 1988, she was inducted to the Rock and Roll Hall of Fame as a member of The Supremes, alongside Florence Ballard and Mary Wilson. "People don't know about the human part of me that really cares about the world. For instance, I don't know what I feel about wearing my furs anymore. I worked so hard to have a fur coat, and I don't want to wear it anymore because I'm so wrapped up in the animals. I have real deep thoughts about it because I care about the world and nature,” said Diana. She continued to star in television movies like 1994’s Out of Darkness, and 1999’s Double Platinum. 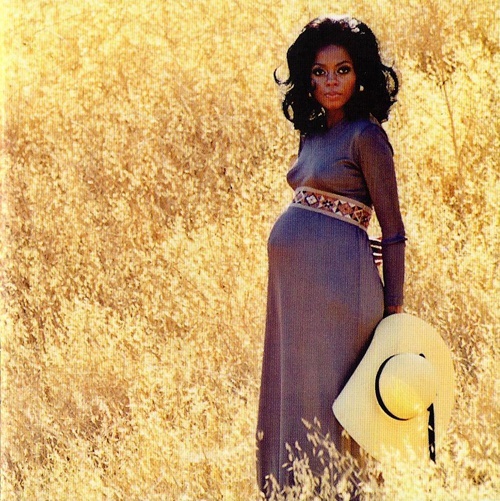 Some of the songs from the later movie were featured on Diana's 1999 album, "Every Day Is a New Day." 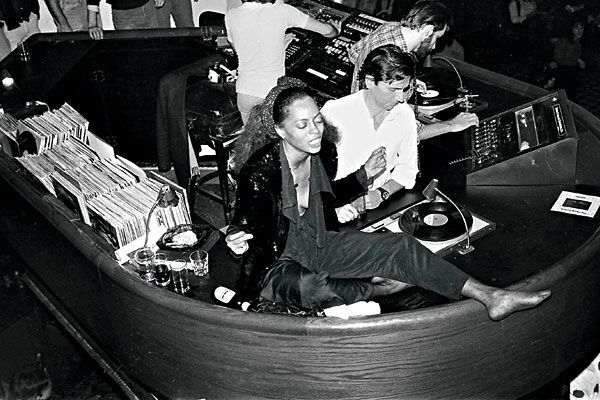 Diana sitting on the DJ booth at the iconic STUDIO 54 in New York City, where the "famous and beautiful" went to dance and mingle. 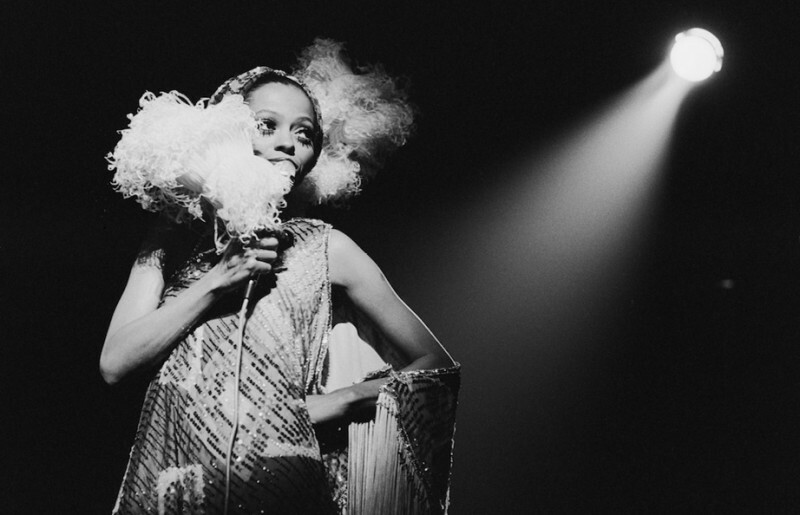 She was named the Female Entertainer Of The Century by Billboard Magazine in 1976, and in 1993, she was declared the Most Successful Female Music Artist In History by the Guinness Book of World Records. 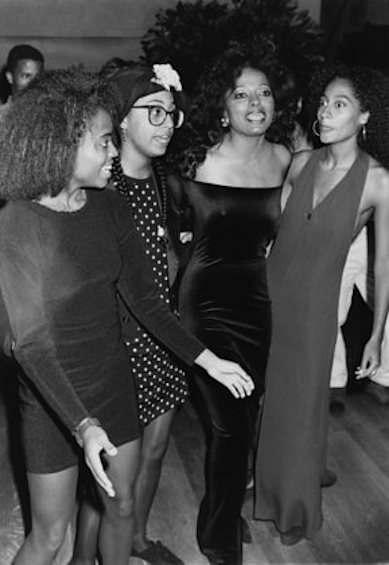 Diana with her daughters Rhonda, Tracee, and Cudney posing for pictures following an opening performance at Radio City Music Hall in 1991. "I'm not really a songwriter, I'm an interpreter. So in a sense, I am an actress first and foremost. I act out the songs, and I lead with my heart,” said Diana. 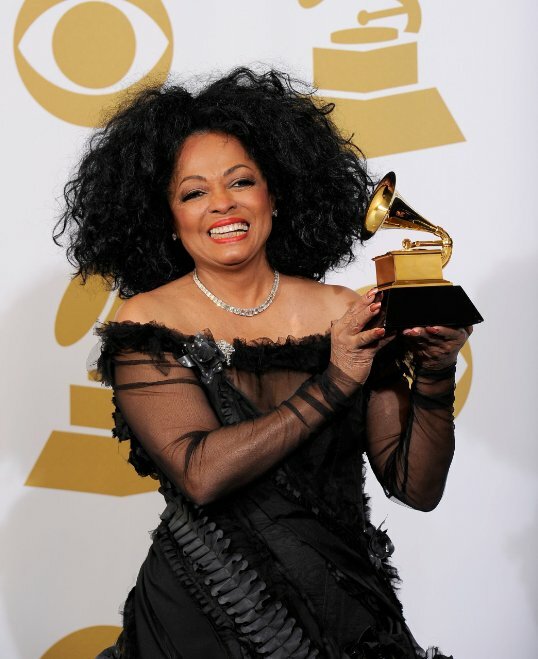 Diana has had more success and hits than any female artist in the charts with a combined career total of 70 hit singles. 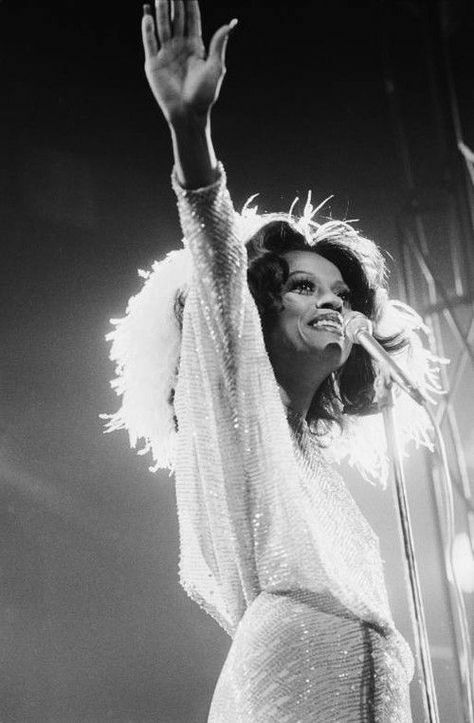 She has also sold more than 100 million records worldwide with her releases from The Supremes and as a solo artist. "Criticism, even when you try to ignore it, can hurt. I have cried over many articles written about me, but I move on and I don't hold on to that," said Diana. Diana was given a star on the "Sidewalk of the Stars" in 1993 outside of Radio City Music Hall at an inaugural ceremony. 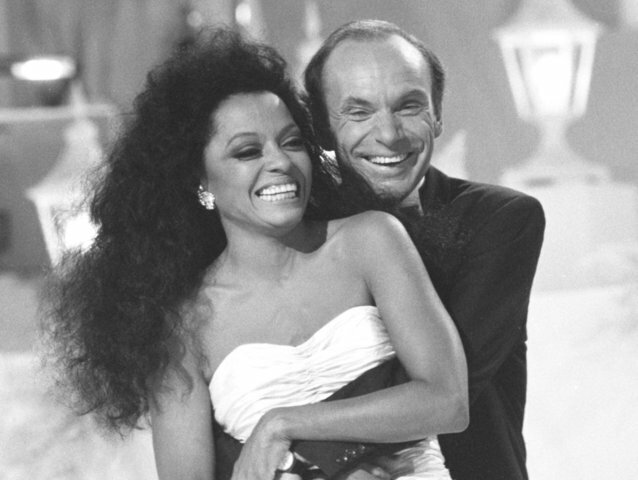 Shortly after in 1995, Berry Gordy presented her with the Heritage Award for Career Achievement at the 9th annual Soul Train Music Awards, in which she later was inducted during the 25th Soul Train Anniversary. "I'd traveled a lot, was going temporarily insane and became very successful, but there was no one to take that all home to," said Diana. Diana continues to record and release new music, such her 2006 album, I Love You, which is a collection of love songs. 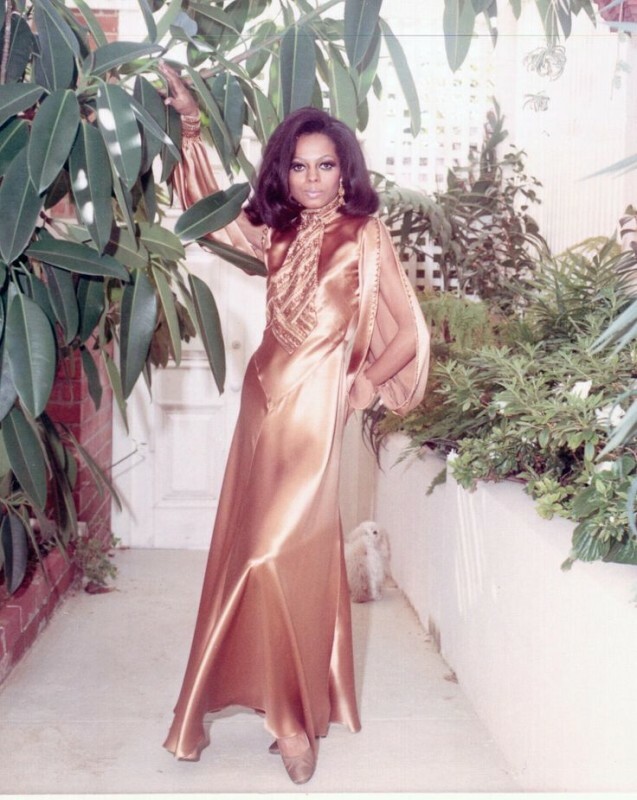 In 2007, Diana was presented with Black Entertainment Television’s Lifetime Achievement Award. "I'm not worried about the emotions I carry with me because I'm happy that I have them—I think it's good for the work I do. The emotions that are not healthy are the ones you hold inside, like anger," said Diana.